Reliable and efficient solid waste removal services are important at any facility. The team at ASI Waste are experts in the collection, disposal and overall management of waste. We provide solutions to make certain that the waste generated at our clients’ facilities is managed in the most efficient, environmentally friendly, and cost effective manner possible. The focus on these three objectives ensures the best possible solutions available for the management of solid waste for our clients. Through our direct collections and our extensive hauler networks, we can ensure that no matter where you are, your waste is consistently removed in a timely and economical fashion leaving you free to manage your business, not the trash. We provide these services for commercial companies, convenience stores, restaurants, contractors, auto repair facilities, car dealerships, industrial sites, manufacturing facilities, townships and municipalities, schools, universities, student housing facilities, apartment complexes, hospitals, government facilities, as well as many other types of companies. Our customer service agents provide personalized service and understand our customers’ needs. They also have the sense of urgency and follow up. Our customer service team walks through making sure the services are completed timely so that our customers can focus on running their business while we manage the waste and recyclables. Our in-depth knowledge of the solid waste and recycling industry allows us to customize a solution to meet your individual needs and goals. We pride ourselves on protecting our customers from service related issues while also helping them increase their recycling efforts and landfill avoidance whenever possible. Our knowledge of available markets for recyclables and equipment is extensive due to our experience in the waste and recycling industry. We can evaluate your current practices to see how effective they are and what opportunities exist to improve your current waste services. We have the ability to carry out a waste audit to help determine the most efficient, economical, and compliant methods of managing your waste. 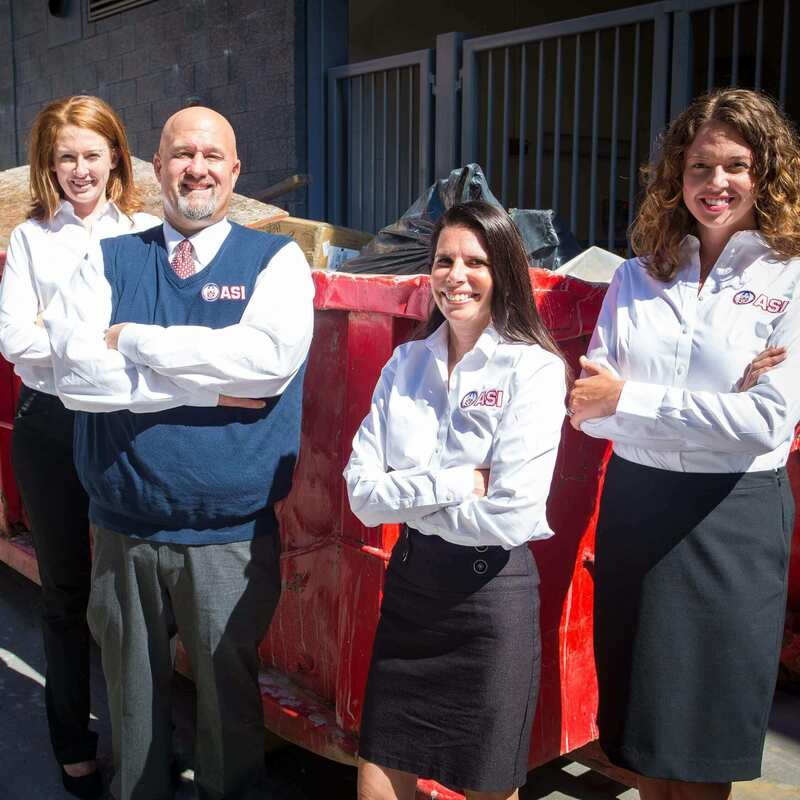 We understand that prompt and efficient service is a top priority in meeting your waste removal needs. We also believe our customers deserve clean and overall aesthetically pleasing equipment for the waste removal services they pay for. Our promise to our customers is that the equipment provided will be properly maintained and in good working condition. Whether you need front load service, rear load service, compactors, or roll off dumpsters, we will provide the most economical and environmentally friendly solutions available that fits your needs. We pride ourselves on our focus to protect our customers from price and service related issues while increasing recycling efforts and landfill avoidance whenever possible. We provide our larger industrial and institutional customers with large roll off containers and compactors to will accommodate their needs to make certain that waste is never backing up in their facilities. We provide solutions for capturing these large volumes of waste to minimize the transportation fees associated with the services. 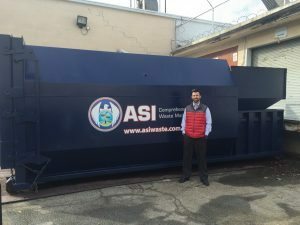 ASI Comprehensive Waste Management, Inc. provides dumpsters of all sizes for all types of material. We make it easy to obtain dumpster for your home or business. 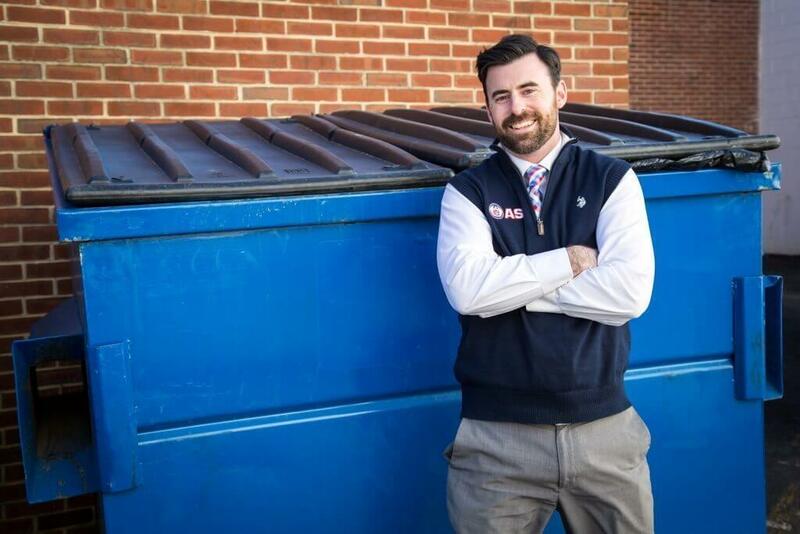 Our dumpsters make it simply to remove large amounts of debris, whether it is construction material from a renovation or household trash from a clean-out, our dumpster rental program is hassle-free and affordable.